As discussed this week, on Wednesday I met with Catherine Pickering, the granddaughter of William Pickering, one of Long Island's first photographers. Our examination of her grandfather's photo collection revealed several Vanderbilt Cup Race photos, many never published before. 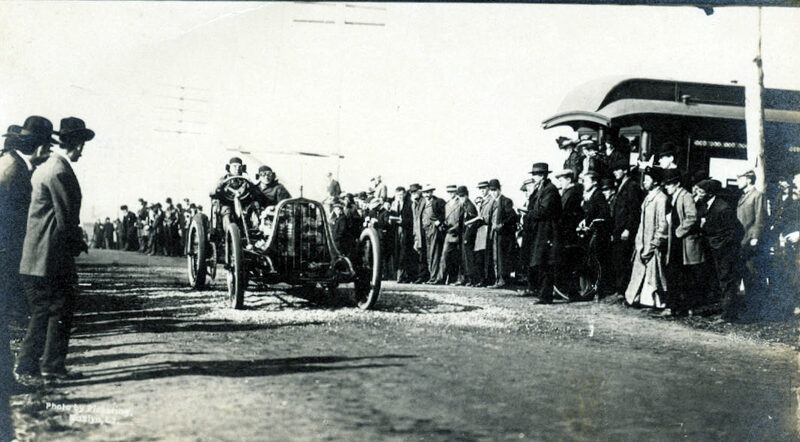 In an exclusive to VanderbiltCupRaces.com, five more race photos are being posted from the 1905 Vanderbilt Cup Race courtesy of Catherine Pickering. In the above photo (click on image to enlarge), Pickering captured the #7 Locomobile driven by Joe Tracy and mechanician Al Poole. The racer, which finished third in the race, was heading east on Jericho Turnpike near the intersection of Willis Avenue in Mineola. Krug's Hotel, a gathering spot for spectators and racing teams, can be seen on the right. 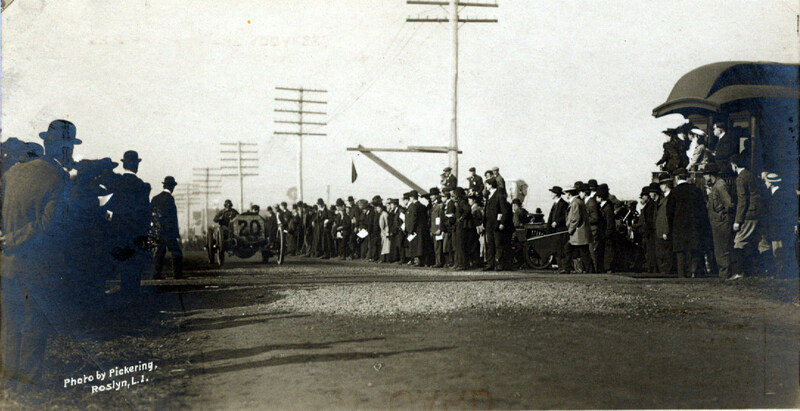 Several photos were taken by William Pickering on Jericho Turnpike at the crossing of the Long Island Rail Road in Mineola where a parked train served as a spectator platform for LIRR guests. In this photo, the great Italian driver Vincenzo Lancia was driving his #4 Fiat. 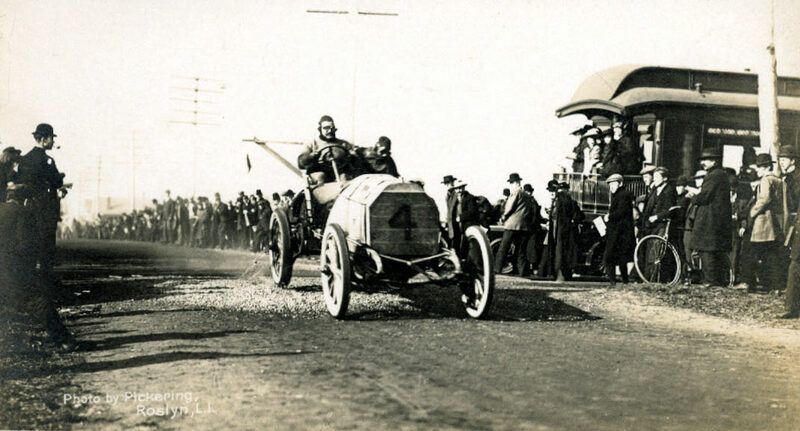 Although this race car's number is obscured, the rectangular shape of the radiator identifies it as the #14 Panhard driver by George Heath, the winner of the first Vanderbilt Cup Race in 1904. 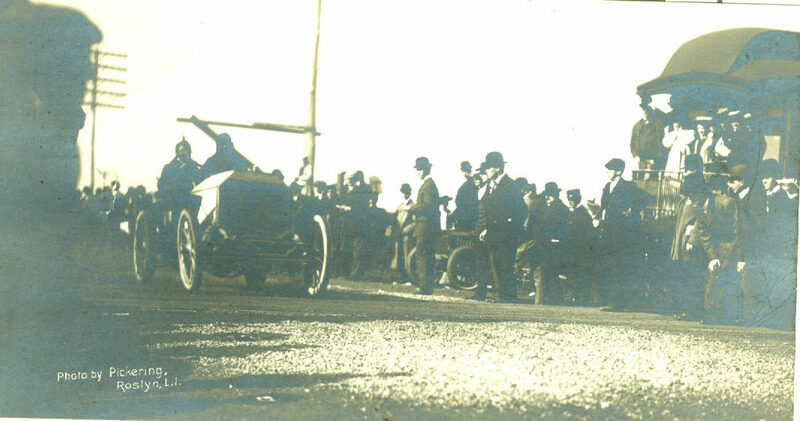 Here the #15 Pope-Toledo driven by Herb Lytle can be seen crossing the railroad tracks.Lytle had driven this same car to victory in the 1905 American Elimination Trial to qualify for the Vanderbilt Cup Race. Alfred Gwynne Vanderbilt, William K. Vanderbilt Jr.'s cousin, entered the #20 Fiat in the 1905 race driven by Paul Sartori.Ten years later, Alfred Gwynne Vanderbilt was lost at sea when the Lusitania was topedoed. Again, great stuff.These pictures are priceless. Sinking of the Lusitania: An American Tragedy, was aired on the Smithsonian Channel recently. I was quite surprised there was no mentioning of Alfred Gwynne Vanderbilt and Ronald Denyers assistance with passengers. Episode was well done otherwise.